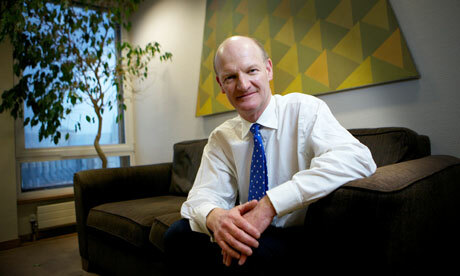 David Willetts, the science minister, said the government wants to move to open access while protecting peer review. The government has signalled a revolution in scientific publishing by throwing its weight behind the idea that all publicly funded scientific research must be published in open-access journals. The policy is in the government document Innovation and Research Strategy for Growth published on Monday, which also includes plans for a series of cash prizes for teams to solve specific scientific challenges and a new £75m fund for small businesses to develop their ideas into commercial products. The commitment to making publicly funded research free to access is a direct challenge to the business models of the big academic publishing companies, which are the gatekeepers for the majority of high-quality scientific research. 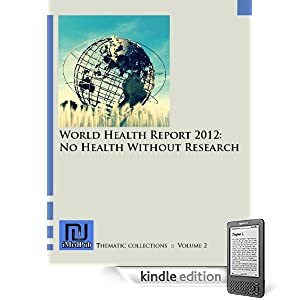 Previous attempts by open access publishers to break this stranglehold over the dissemination of scientific results have largely failed. The strategy sums up the coalition's work in the past 18 months on reshaping and developing the UK's science base in the face of the economic crisis. It comes a few days after David Cameron made a speech calling for increased research collaboration between the NHS and the life sciences industry, which included a £180m "catalyst fund" for universities and companies to help develop projects until they attract outside investment. "Our starting point is a commitment by the coalition to transparency and open access to publicly funded data," said science minister David Willetts at a briefing to launch the government strategy. "Just writing my book, it was striking how you'd start researching a document and you'd soon hit a paywall and find that you had to subscribe when, sometimes, the work had come from research council projects." He added: "We set out very clearly in the document today our commitment to open access. 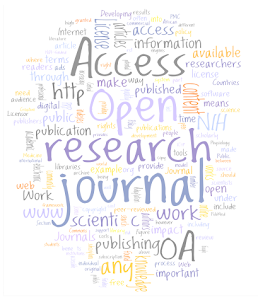 We want to move to open access, but in a way that ensures that peer review and publishing continues as a function. It needs to be paid for somehow. One of the clear options is to shift to a system from which university libraries pay for journals to one in which the academics pay to publish. But then you need to shift the funding so that the academics could afford to pay to publish." He cited the example of the particle physics community in the US, which has switched from traditional scientific publishing to scientists paying to have their work appear in open-access journals. "They did that, I am told, as a switchover and the same amount of money was flowed through in a different way. It was clearly to retain the viability of learned journals in particle physics and, in turn, sustaining the whole system with peer review." Dame Janet Finch, a former vice chancellor of Keele University, has been asked by Willetts to investigate how a similar open-access scheme might work in the UK. "We have to let her, working with the publishing industry and the research councils, find a way forward," said Willetts. "The publishing industry recognise the direction in which things are going and we have to work out a new model together." Finch is expected to report in the first half of 2012 but, meanwhile, Willetts said the UK research councils would be reminded that research papers from the work they fund should be as widely available as possible. Finding new ways to solve pressing scientific challenges was another element of the science and engineering strategy. Willetts said that the government would invest up to £250,000 in a series of prizes that would be awarded to groups of people who could solve specific scientific problems outlined by organisations including the National Endowment for Science, Technology and the Arts (Nesta). "[Prizes] were used a lot in the 19th century and they rather fell out of favour," he said. "They've been rejuvenated in the US and we're keen to work with Nesta, which will set up a centre of expertise in this." In the 18th century, the British government offered a series of prizes to anyone who could develop a practical method of determining a ship's longitude at sea. It led to a flurry of experiments and the development of the marine chronometer by John Harrison. More recently, the Ansari X-Prize offered $10m to the first team to build a reusable manned spacecraft and was won in 2004 by Burt Rutan's company Scaled Composites with its development of SpaceShipOne, subsequently the basis of the vehicles that will be used by Richard Branson's Virgin Galactic. Unclaimed X-prizes are also available for building fuel-efficient cars and mass-sequencing genomes. David Bott, director of innovation programmes at the Technology Strategy Board, which will work with Nesta to develop the prizes, said: "If you set the challenge in the right way, you unlock the creativity of the community rather than limiting it with our own lack of it." He added that prizes could be used to drive people to work together, rather than in traditional silos. The £75m fund for small and medium-sized businesses resurrects a similar scheme run by the now-defunct regional development agencies. It will offer companies money to engage in proof-of-concept R&D projects from which new products and services could emerge. "If you look at the overall economic strategy of the government, it is about getting back to rebalancing the economy, stimulating growth," said business secretary Vince Cable. "Much of that is going to come through from the SME [small and medium enterprise] sector, that's where jobs are going to be created." Imran Khan, director of the Campaign for Science and Engineering, said the government strategy was "an important and comprehensive analysis of the UK innovation ecosystem". "We welcome the government's emphasis on attracting innovative businesses to the UK, and initiatives such as the new innovation inducement prizes," said Khan. "We call on the government to build on this start by setting aside serious funding to kickstart the sector and turn it into a game changer for UK economic growth – for instance, by setting aside the proceeds from the forthcoming 4G mobile spectrum auction to be reinvested in science, engineering, and innovation."